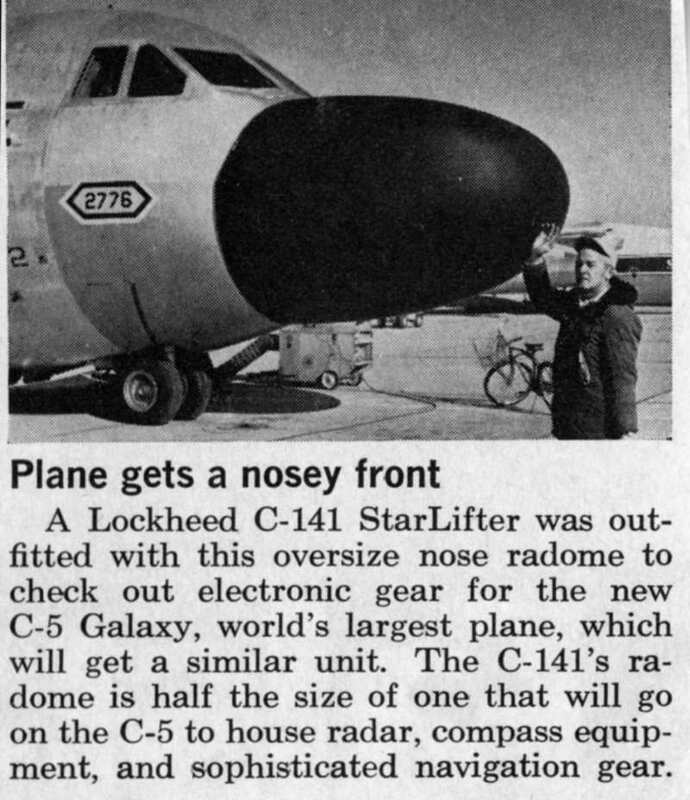 If you have more or any interesting stories about this aircraft please send them along. 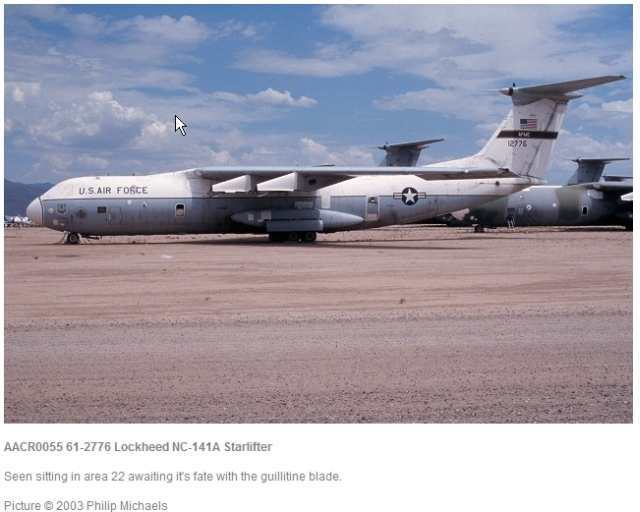 Having been a test aircraft, there are probably hundreds of photos and stories about 61-2776. 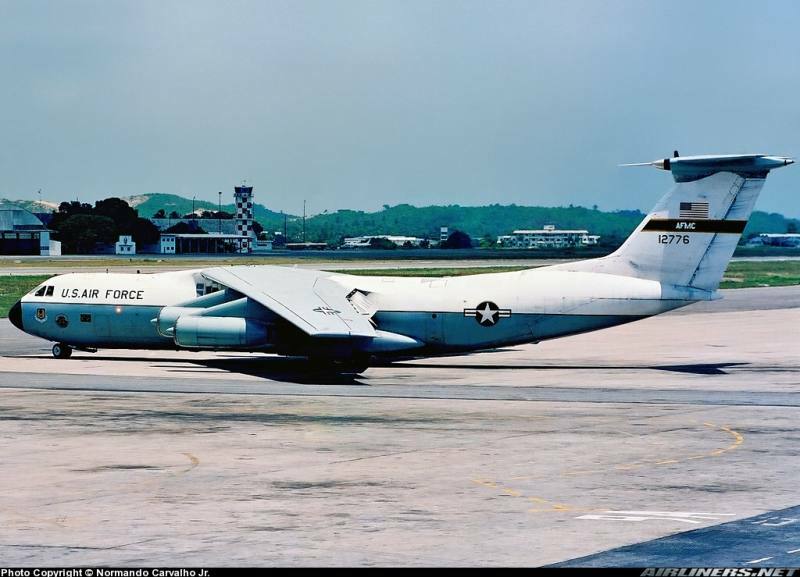 It was the second C-141 aircraft built by Lockheed in 1961, and the last C-141A in operational service. 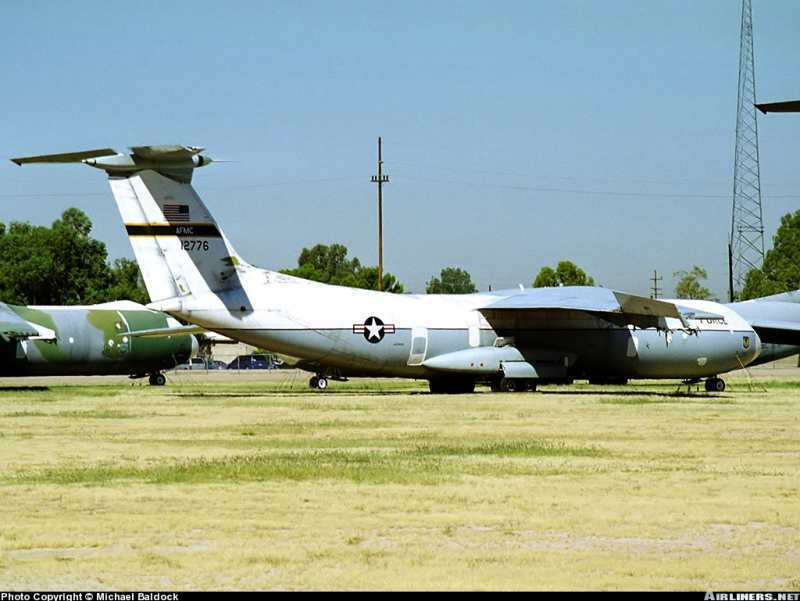 This aircraft was the testbed for many C-141 special modifications. It was the first large military cargo aircraft to be fitted with electrically operated flight controls and flown in excess of 1,000 hours operationally. Testing of the C-141 Electric Starlifter Program ended in July 1998. This program represented the first time in aviation history that a large military cargo aircraft has both been fitted with electrically operated flight controls and flown in excess of 1,000 hours operationally. 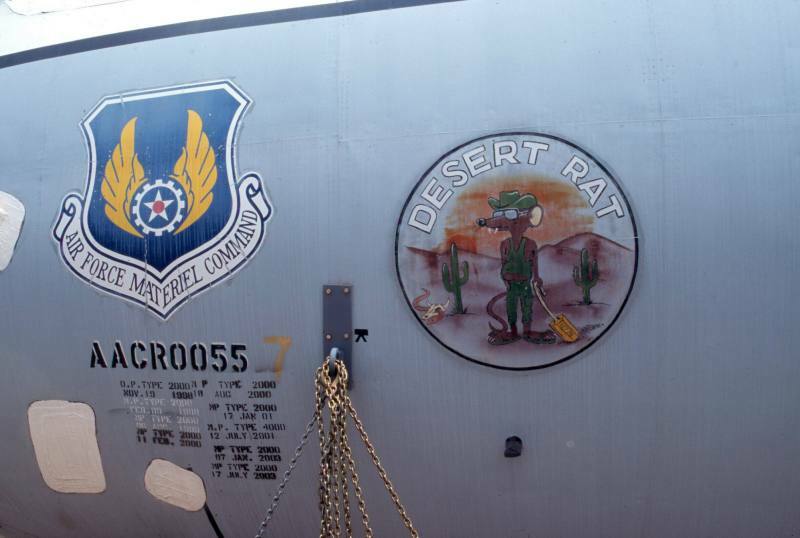 The aircraft used for the testing was a C-141A assigned to the 418th Flight Test Squadron here. Other aircraft have flown with electrically powered flight controls in the past, but only to demonstrate that such systems were feasible. 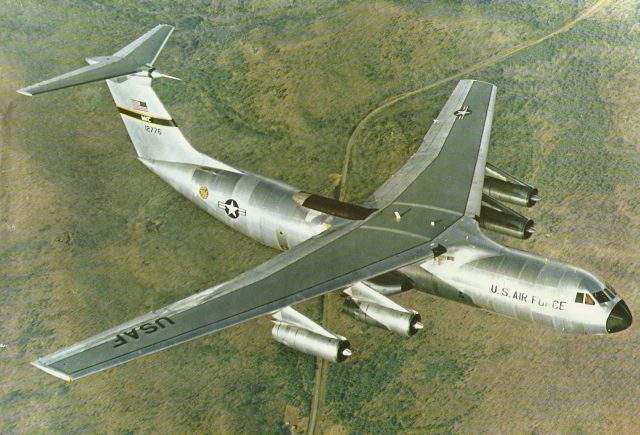 While other programs typically flew 20 or 30 test hours before completion, the Electric Starlifter was targeted for a long-duration test. 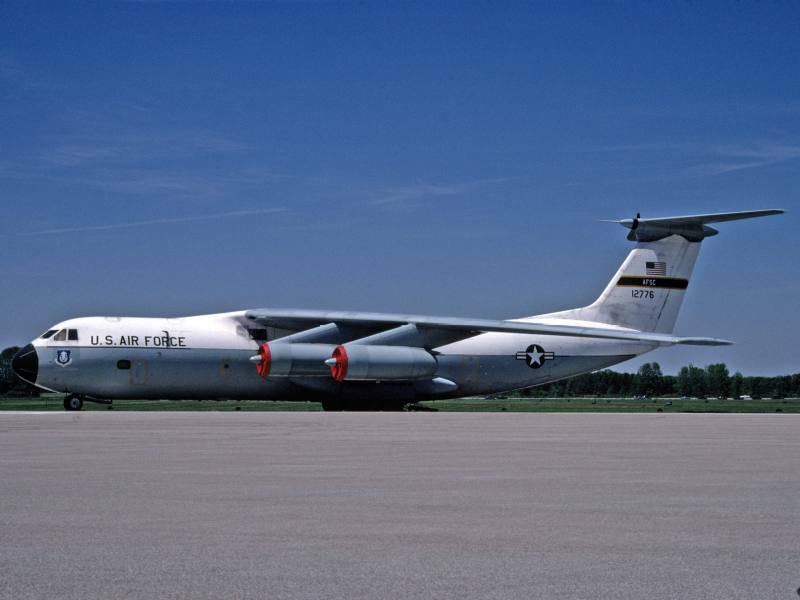 The modified C-141 was used in the Air Mobility Command's air cargo transportation system to acquire at least 1,000 flying hours in an operational environment. Flying hours were gathered on cargo missions to Kwajalein Atoll, Guam, Alaska, the Amazon Jungle in Brazil and even Europe. 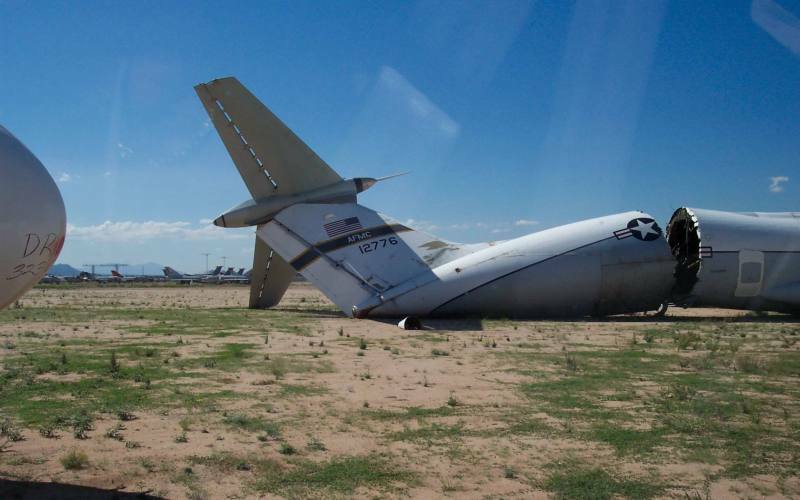 Once testing was completed, this aircraft was flown to Davis-Monthan Air Force Base, Ariz., where it was "deactivated." In that peculiar dialect of English called "boneyard-speak", which is spoken only in Tucson, "deactivated" means "crushed into very small pieces". 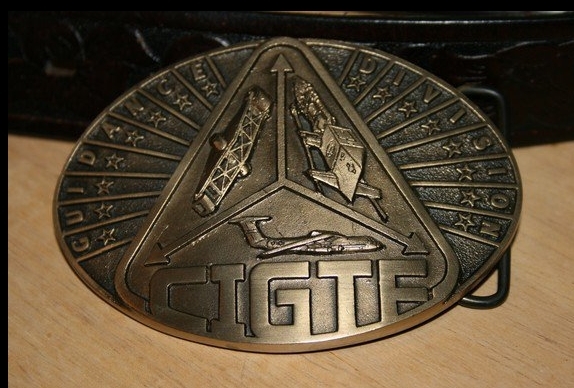 I was the project pilot for 776 from '75 to '80 and was responsible for documentation and project coordination. fuselage severed. 61-2776 was dedicated to support the Central Inertial Guidance Test Facility at Holloman AFB, NM. It was equipped with a vertical viewing/photographic port, a second station autopilot control console (in the cargo compartment), data recording and instrumentation, plus integral side-wall wiring to facilitate palletized test components. While evaluating nav systems and components we would fly in a cardinal direction for one or more Schuler periods, marking the recorded data as we positioned the aircraft and then photographed surveyed reference points on our route. After the flight the test engineers would compare the recorded data positions with our actual position as shown in the photos. It was, necessarily, all VFR flying. 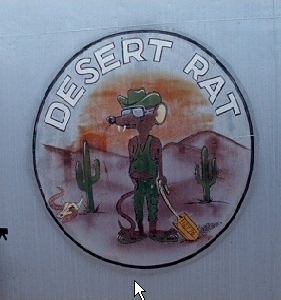 Some of the more memorable projects were first military testing of Honeywell's laser inertial nav system (LINS), the Tomahawk Cruise Missile nav system fly-off (great flying, as we simulate a cruise missile profile over Arizona and New Mexico), and the proof of concept and initial operational testing for the NavStar/Global Positioning System at the Yuma Proving Grounds. 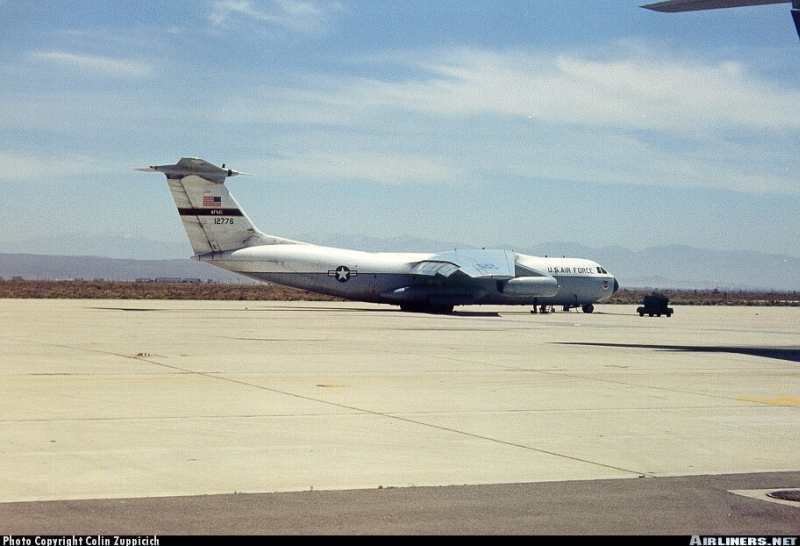 I was on board as 776 perform the first ever GPS aided approach to landing, airborne refueling rejoin (w/ an F-4), and actual airdrop over YPG in 1980. We deployed once a year to Alaska for high latitude nav systems testing, usually for a week or so, flying out of Elmendorf and/or Eielson AFB. One memorable flight was at the end of our deployment as we flew from Eielson to Dead Horse (Prudhoe Bay), down the pipeline to Valdez, along the southeast coast, through the inside passage, over Prince Rupert, BC to the Northern tip of Vancouver Island before climbing and beginning IFR control. Sitting on the grass at DM..awaiting its fate. Used with permission of the photographer. A shot of the 'nose art'.